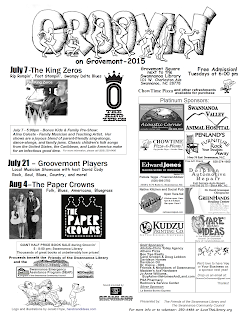 Friends of the Swannanoa Library: Groovin' on Grovemont 2015! Thank you sponsors! 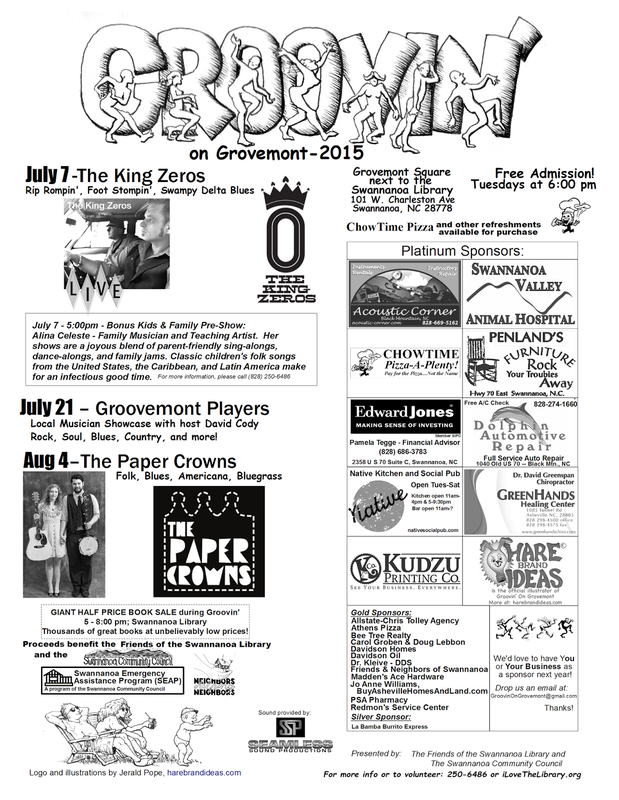 Groovin' on Grovemont 2015! Thank you sponsors! The mission of the Friends of the Swannanoa Library is to increase awareness, use, and enjoyment of the Swannanoa Library and its surrounding park and playground facilities as a means of strengthening the community of Swannanoa.